What a superb month September is for us, all around there are signs of the beauty of Autumn. But don’t be fooled into thinking summer is over and there is no colour in the garden. 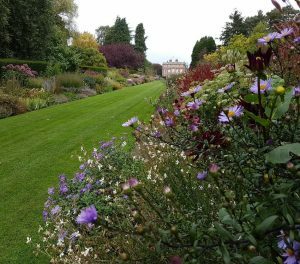 The double Herbaceous Border is still packed with flower from top to bottom. 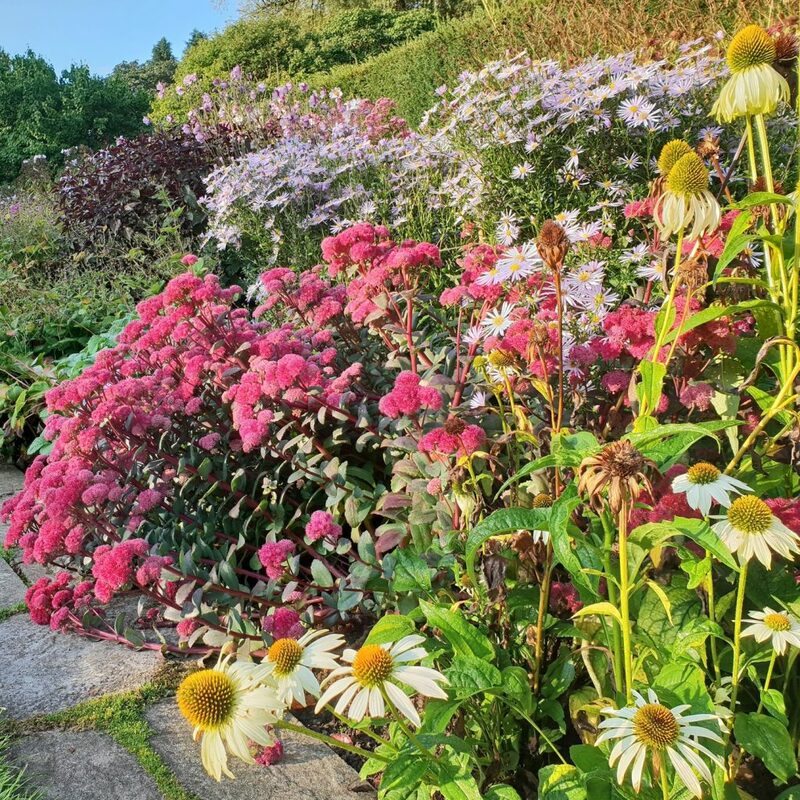 Plants such Eupatorium, Perovskia and Echinacea are now supported by late summer Asters, Sedums and Dahlias. Even earlier flowering Veronicastrums are giving dramatic structure. If you look out at your garden and don’t see a great deal of colour and interest pop along next week and get some ideas and inspiration. The Autumn Garden is at its best now as the lower light levels create a jewel like feel within the walled garden. Our stunning Salvia collection is the largest of its type in the north and not to be missed. Sylvia’s Garden continues to effuse its peaceful relaxing atmosphere too, it’s the best place to sit down and unwind.